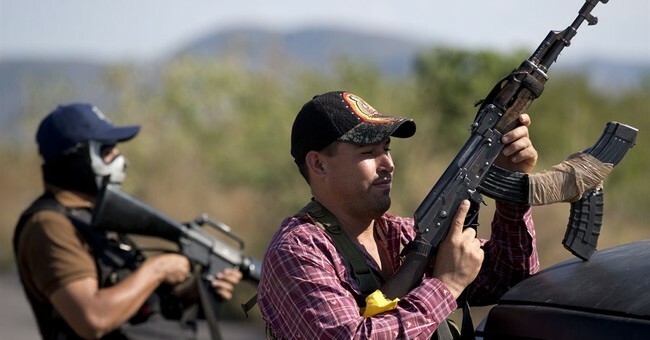 ISIS, Mexican Drug Cartels Teaming Up? The relationship between drug trafficking and terrorism has long existed, and can take many forms depending on the goals and needs of each party. Sometimes hybrid criminal-terrorist organizations form in which terrorist groups become involved in the drug trade to fund operations, purchase equipment, and pay foot soldiers. In return, they provide safe passageways for the drugs and give traffickers tips for circumventing customs and security forces. Other times a localized criminal organization or terrorist group lacks expertise, so increased contacts and business with major drug cartels helps advance the sophistication of their operation. Ultimately, though, both have logistical needs and working with or even talking to each other allows the groups to share lessons learned, important contacts to corrupt officials, and operational methods. Thus, it’s not surprising to hear that the Islamic State (ISIS/ISIL) is already talking to Mexican drug cartels. Rep. Ted Poe (R-TX), a member of the House Judiciary Committee on Crime, Terrorism, and Homeland Security, said as much on Newmax TV’s “America’s Forum” on Wednesday when asked if there’s any interaction between the two. Even amid all the domestic and international crises going on at the moment, it’s important that the American people and lawmakers not give up on putting pressure on this administration to beef up border security. The crisis at the Southwest border is about more than just the illegal immigration of tens of thousands of Central Americans—it’s about national security. Criminals, violent gang members, drug cartel members, and yes, terrorists, are also coming in and will continue to do so as long as this administration puts politics and political correctness ahead of security.